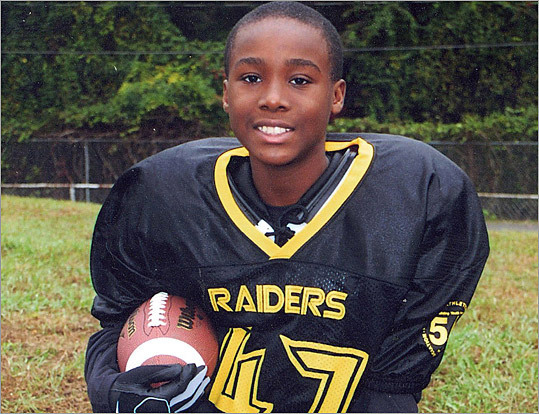 When 11-year-old Carl Joseph Walker-Hoover killed himself after months of relentless bullying at his Springfield charter school, the entire state should have been outraged. Students everywhere should have been put on notice that hounding other kids in the hopes of driving them to despair would not be tolerated, even for a minute. School administrators should have understood that if they didn’t protect kids like Carl they’d pay for it. Instead, some of us were incensed, and some of us had good intentions. There was some urgency, to be sure — including among legislators, who filed a boatload of antibullying bills. But none of it was enough to prevent another promising kid from killing herself, just a short drive away from the hell that unfolded for Carl. On Tuesday, three South Hadley teens were arraigned on charges that they hounded Phoebe Prince to the point of suicide. Tuesday was also the first anniversary of Carl’s death. He loved his church and his bike and “Diary of a Wimpy Kid.’’ He was a Boy Scout, a smart kid, an enthusiastic athlete. And he was tormented. Some kids at New Leadership Charter School said he was gay, that he acted like a girl. “I hate this school,’’ he told his mother most afternoons. Sirdeaner Walker told teachers and administrators about the harassment. In a meeting with a school official, she made her son name his tormentors. “I assumed that if I brought it to their attention, they would do something,’’ she said. They didn’t, she said, and the bullying continued. She kept sounding the alarm, but the school, she said, minimized the incidents. Eventually, Carl stopped telling his mother about most of it, to spare her the pain. Until the last day of his life, when he was upset about an argument with a girl who threatened to kill him. Walker said the school told her son and the girl that they had to eat lunch together for the rest of the week, to learn to get along, or they’d both be suspended. That night, she found her son hanging from a third-floor railing. Investigations by the school found neither students nor teachers at fault. After Carl died, Walker, 44, threw herself into making his death mean something. She traveled across the country, telling anybody who would listen that we need tougher rules and more accountability from schools. Phoebe’s suicide galvanized people in a way Carl’s hadn’t. The indictments of her tormentors will strike fear into every kid who considers trying to make a classmate feel worthless. More parents will report bullying and demand action, and more schools will give it to them, thanks to recently passed antibullying legislation. Walker is finally seeing the things she’s been fighting for come to pass. It shouldn’t have taken two suicides to accomplish these things. It shouldn’t have taken one.